There are many possibilities for traveling in Romania with style (Btw: What is actually traveling in style? I understand hereby traveling in luxury, to be clear from the beginning! In order to refine this definition, what is luxury, we might have different approaches!). You won't find luxury exquisite hotels in every corner of Romania, but you can bet to find in the big cities. For Bucharest is even difficult to make the right selection from the wide offer. But I can still manage giving you the best advice with some insider tips, resulting from my long experience. Traveling in style means for the men for sure wine tasting, while the women have a soft spot for spa. 1. A good solution for the both would be ***Hotel Continental Targu Mures, offering since short time a special wine tasting in a salt mine. The atmosphere while the wine tasting in that salt mine is special, yet really fabulous. It is actually one of The Europe's biggest salt mines, nowadays not working any more. Even if the hotel doesn't have a spa center, the ladies can enjoy a special package, known as Women Muz Capriccio, when they will be really spoiled. 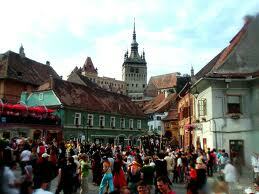 2.Not far, in Sighisoara, at Binder Bubi ****, you can find a spa, and even a good one. Besides, Sighisoara is one of the best destination for traveling in style, with its amazing Medieval fortress, being the unique in all Europe still populated. Visiting the fortress is in my opinion really chic and stylish.Service and kitchen in Binder Bubi are convincing and alluring, enjoy them both! Wine tasting in restaurant or in the neighborhood, at Butoiul Sasului! The exquisite hotel Athenee Palace Hilton Bucharest has a long tradition behind, but also a glorious present! 3. 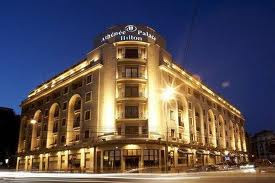 Bucharest is a totally separate discussion, and I would like to recommend a traditional hotel, namely Ahenee Palace Hilton, located in the center of Bucharest, showing style in all details. Make your shopping in the exquisite boutiques from Calea Victoriei, which are anything else than cheap, and meet the Romanian Capital through long walking tours. Observe its stylish parks and fountains, visit Bucharest Museum. You can fill your time with most exciting activities and events, this city could draw your attention weeks and months. 5.For the coming summer there are a few luxury destinations on the Romanian Black See Coast, directly on the beach, but not far from the beloved clubs from Mamaia. 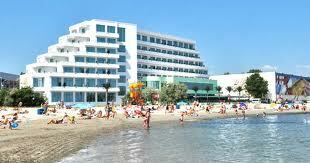 The Hotels Malibu and Yaki are the best choices for that matter!